This new edition of the bestselling NIrV Adventure Bible for Early Readers maintains all of the features loved by kids from its previous edition but is now available in full color throughout! Kids ages 6-10 will be even more captivated with learning about the Bible and growing closer in their relationship with God. Includes the complete New International Reader's Version (NIrV), written at a third grade reading level for those just beginning to explore the Bible on their own. 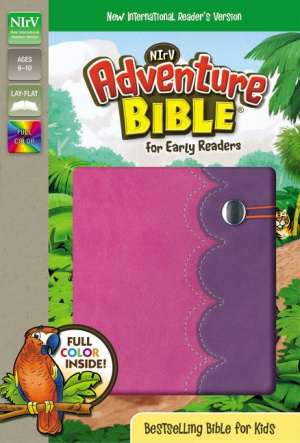 NIrV, Adventure Bible for Early Readers, Imitation Leather, Pink/Purple, Full Color by Lawrence O. Richards was published by Zonderkidz in June 2014 and is our 61541st best seller. The ISBN for NIrV, Adventure Bible for Early Readers, Imitation Leather, Pink/Purple, Full Color is 9780310744597. 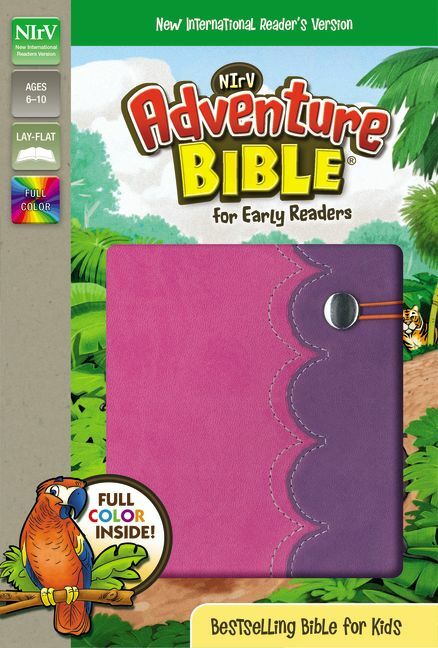 Be the first to review NIrV, Adventure Bible for Early Readers, Imitation Leather, Pink/Purple, Full Color! Got a question? No problem! Just click here to ask us about NIrV, Adventure Bible for Early Readers, Imitation Leather, Pink/Purple, Full Color.